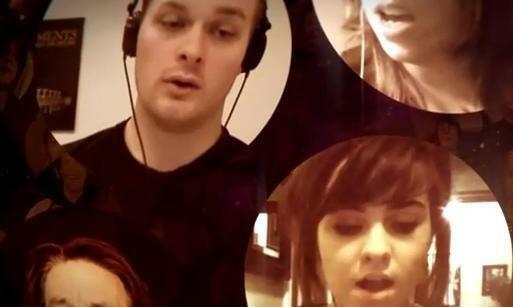 Eric Whitacre takes videos of people singing around the world and melds them into a virtual choir. We revisit our conversation with classical choral composer Eric Whitacre, who has just been nominated for a Grammy for his latest CD "Light & Gold." But he's also known for his "virtual choirs." Here's how it works: Singers around the world take video of themselves, upload them onto YouTube, and assembled into one performance. The most recent choir involved 2052 people performing Eric Whitacre's "Sleep". Eric tells us that that his love for choir music began when he was eighteen years old and he was "tricked" into singing into singing in a choir. He found it a transforming experience, the sound of all those voices singing together unlocked his true voice. This segment aired on December 13, 2011.